« Kattenmanieren #6-2016: Walk on the Wild Side. 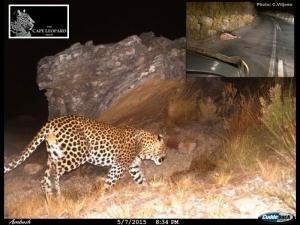 On Thursday 16 Feb 2017, a leopard was hit by a car in Bainskloof Pass near Wellington. 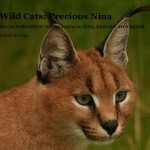 The animal sustained severe injuries, including a broken back as well as internal trauma, and sadly had to be put down. The Cape Leopard Trust Boland Project was notified of the incident by partner organisation CapeNature, and a CLT researcher inspected the carcass to take various morphometric measurements and some samples. The leopard was a beautiful and healthy adult male. He was known to us from camera trap photos as a territorial male in the larger Bainskloof area, and was referred to as BM30 (Boland Male #30). He was quite large for a fynbos leopard, weighing in at 37kg and was estimated to be around 5 years old. Although the loss of such a magnificent animal is extremely unfortunate and certainly undesirable, the local leopard population is healthy. 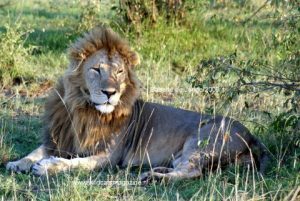 BM30’s home range will most likely be taken over by a strong young male who had been waiting for an opportunity to hold a territory. Leopards being hit and killed by vehicles is fortunately not a regular occurrence in the Western Cape. However we would like to draw attention to the possibility that it can – and does – happen, and every time it does it is an unnecessary loss of life. Almost all incidents happen at night, on mountain passes and roads going through mountainous terrain. Leopards have been hit by vehicles on Piekenierskloof pass south of Citrusdal, Michell’s Pass outside Ceres, Bainskloof, the N1 through Du Toitskloof, Franschhoek pass and on the R44 coastal road between Gordons Bay and Rooiels. We would like to extend a call to action to all motorists using these roads to please exercise caution and drive slowly – not only for the sake of leopards, but also their prey and other small carnivores. Countless mammals get run over by cars on the roads leading through and around the mountains every day. Caracal, mongoose, genet, polecat, honey badger, porcupine, rabbit, hare, dassie, etc – all fall victim to reckless driving and speeding on our roads. We ask that you share this widely and encourage everyone you know to take a moment to consider the wildlife which often has no choice but the use the roads that now traverse their fynbos habitat. A camera trap photo of BM30, taken between Eerste and Tweede Tol in Bainskloof. Insert: a photo taken soon after the accident by a passer-by.